Majority of you have probably heard of the equine-assisted therapy and how horses affect humans in a positive way. But, apart from being in a therapeutic session with a horse and an expert, you can greatly benefit from spending time around horses. 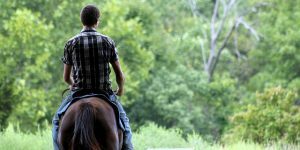 If you are considering to take up horseback riding as your hobby, you might be on the right path to improve your lifestyle. 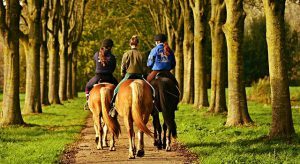 Equestrianism as a hobby comes with many amazing health benefits, so let’s inform ourselves a bit more. Not only that you will feel relaxed around horses, riding a horse will greatly improve your mental health. The moment you start engaging in a certain activity with any animal, the level of serotonin (happiness hormone) in your body will rise. Moreover, people who spend time riding horses on a daily basis are, according to numerous surveys more often in a good mood and smiling. There is much more to it than feeling relaxed and being in the zen mode. 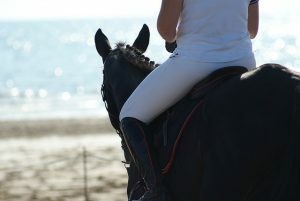 When you are riding a horse you will start to develop new mental skills and, by doing this, you will activate your mind. Being idle physically and mentally is incredibly harmful to our health. However, once you are on top of a horse you will need to concentrate and find a way to become one with this powerful and majestic animal beneath you. Every activity will help you gain some muscle tone and become stronger. The same applies to horseback riding. You will activate abdominals and obliques, strengthen quads and hamstrings, and even build up some middle and lower back muscles. Additionally, you will spend a lot of time on your feet while feeding and grooming your horse. And, if you are maintaining the stables you will build some muscle mass in your arms too. As soon as you mount the horse for the first time you will realize that riding it won’t be as easy as you thought it would. You will need to follow the horse’s movements and coordinate yours. To make it even more complicated, you will have to learn how to steer your horse and make it listen to your commands. All of this will help you develop better coordination over time, and even if it is not likely that you can see the difference, the difference in your posture, walking, and other body movements will change considerably. 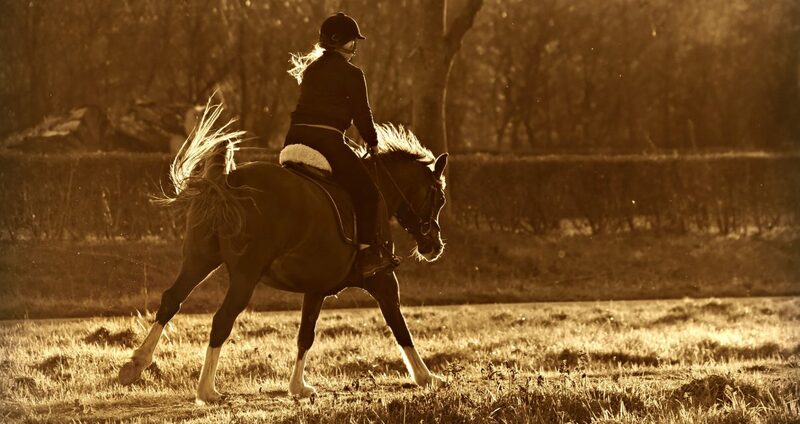 We have already discussed the positive influence equestrianism has on your muscles, but one of the distinctive features of horse riders is a great posture. While riding a horse your back will be straight and your spine in an upright position, so that you can balance yourself onto a horse. This will help you strengthen your core, meaning you will activate chest and back muscles while riding a horse.